NOTE: This film goes under a number of alternative titles depending upon which country it is found in and additionally, which distribution company is marketing it. 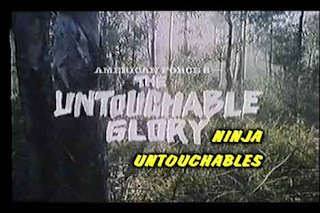 The alternative titles include: American Force 2: The Untouchable Glory, Ninja Untouchables and American Eagle. This is in fact one of six films in the IFD produced 'American Force' series. The others in order are: American Force 1: The Brave Platoon, American Force 3: High Sky Mission, American Force 4: Soldier Terminators, American Force 5: Soldier Champion and finally American Force 6: Soldier Warriors. Yep, it's cut & paste time again! Here we have the story of the dastardly KGB General Karpov who intends to build a Russian missile base in the middle of a small Indonesian village. Why? Well, apparently it's a good location (eh?!) Needless to say the local villagers are none too impressed with this proposal though and set up a rebellion movement calling themselves The Untouchables to oppose said plans. To aid them, they also enlist the help of an American Special Forces agent, Brian O'Riley who is charged to take care of Karpov and his henchmen who go by such names as Hugo, Samson and Nero….okayyyy….. To complete the team, Brian's fellow martial arts expert friend, The White Tiger joins the fray. All in all, aside from not nearly enough scenes featuring O'Riley and his absurd commando antics, this is typically sound (demented) IFD fun! Most people assume they have a pretty good handle on what a bad movie really is. Sure, they've most likely seen movies like Plan 9 From Outer Space and Robot Monster. They probably own a few Mystery Science Theater 3000 box sets. Hell, they might have even made it through an entire Adam Sandler movie once. Still, most people have no idea of how truly awful a movie can be. You see, most people have never seen a Joseph Lai production. 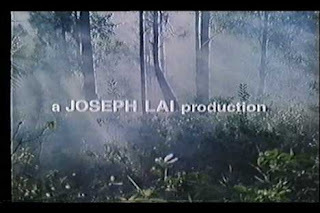 Joseph Lai, along with his former partner in crime, Godfrey Ho, are responsible for some of the most egregious cinematic crimes ever perpetrated. Using obscure Asian films as a base, they would add scenes featuring Caucasian actors (usually in ninja get-up), concoct a very loose storyline, and then re-dub the entire mess into English. As you would expect, the resulting film would generally be an incoherent, disjointed, and thoroughly confusing affair. American Force 2 is certainly no exception. 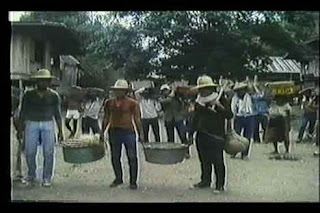 The main portion of the film seems to have been taken from an old Filipino action film. To this film they spliced in new footage and a Russian invasion storyline. The end result is the rather unconvincing tale of The Untouchables, an elite underground resistance force who are fighting the Russians and their plans to build a missile base on their land. My description of an “elite fighting force” is somewhat undermined by the fact that The Untouchables seem to consist largely of teenage girls and overweight men. To aid this motley crew in their fight, the United States has sent an elite fighting force of their own. In fact, the force is so elite that in consists entirely of one man, Brain O'Reily. Brian, accompanied by his trusted friend, The White Tiger (I'm not making this up), quickly starts taking out the Russians' top operatives. The Russians don't take this lying down, however. 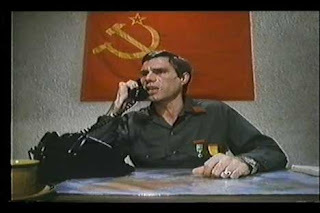 The brilliant General Karpov has plans for Mr. O'Reily. The following exchange between General Karpov and his best man, Hugo, should give you some idea of the General's amazing military prowess. Gen. Karpov: “Brain O'Reily is an unstoppable killing machine. He could bench press a Mac truck while walking through a minefield on stilts. He could kill you like a small dog and I heard that he counted to infinity...twice! You probably won't be terribly surprised to discover that our friend Hugo doesn't survive his encounter with Mr. O'Reily. After the, as in turns out, less than “untouchable” Untouchables are killed off by the suspiciously Filipino-looking Russians, Brian and White Tiger catch up with General Karpov and his men. O'Reily makes short work of them and thus the Russian invasion is thwarted. No doubt the most embarrassing defeat for the Russians since Red Dawn. Still, in that film they were up against the likes of Patrick Swayze and Charlie Sheen. In this movie they were only up against some dude named Brian, a fact which just makes this particular loss all the more embarrassing. As far as Joseph Lai/Godfrey Ho movies go, American Force 2 is a fairly dull affair. The added scenes featuring the Caucasian actors are by far the most entertaining. Truth be told, a fully fleshed out film featuring Brian O'Reily going against General Karpov and his men would likely have been a very entertaining, albeit completely goofy, movie. Sadly the older footage that makes up the majority of the film is very slow and drags to the point of being mind-numbingly boring. If you consider yourself a fan of bad movies but have never seen a Joseph Lai/Godfrey Ho film, I highly recommend that you do so as soon as possible. If nothing else, it'll be good for your “bad movie street cred.” That being said, I would recommend that you skip this particular film and instead seek out one of the twenty or so “ninja” movies featuring (without his consent, I might add) poor Richard Harrison. Just grab one of those giant 50 kung fu/martial arts movie packs and you are bound to land yourself a bunch of 'em.